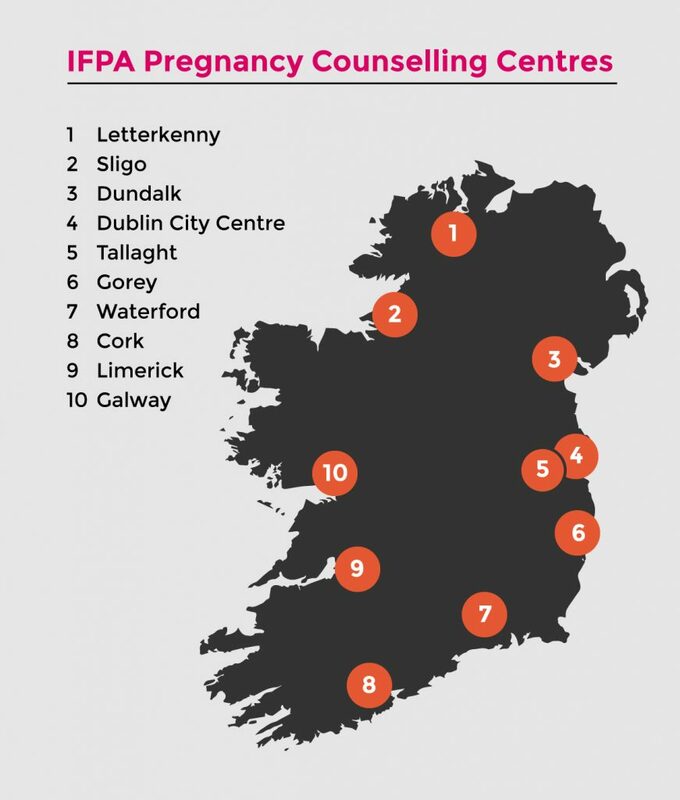 The IFPA offers free pregnancy counselling and post-abortion counselling at ten centres across the country. You can make an appointment to speak to a counsellor in Cork, Dublin City Centre, Tallaght, Dundalk, Galway, Gorey, Letterkenny, Limerick, Sligo or Waterford. Call 1850 49 50 51. The appointment line is open Mon-Wed, 9am-5pm; Thurs 9am-8pm; Fri 9am-4pm; Sat 10am-4pm.